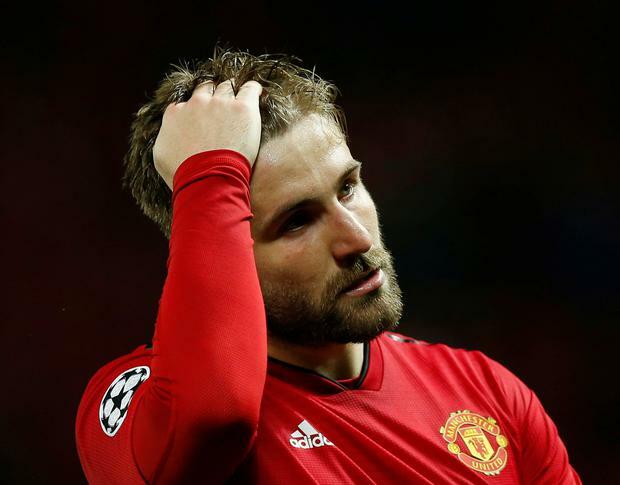 Ole Gunnar Solskjaer will have to inspire another miracle at the Nou Camp to keep Manchester United's Champions League dreams alive after Luke Shaw's own goal proved the difference in a narrow quarter-final defeat to Barcelona. As the 20th anniversary of the Norwegian's treble-sealing triumph against Bayern Munich approaches, the former striker will have to upset the odds at Barca's home once again if his side are to progress next Tuesday. Luis Suarez's header off the back of Shaw was all that separated the sides in the first leg at Old Trafford, with the way United frustrated the swashbuckling LaLiga leaders in a 1-0 loss giving them some hope of turning around their first quarter-final in five years. Solskjaer's side will also take encouragement from last month's jaw-dropping win at Paris St Germain, where United became the first side in Champions League history to overturn a first-leg home defeat of two goals. Much like that last-16 clash, the tie could have been out of sight ahead of the return fixture. Barca had the hosts chasing shadows for the first 25 minutes, with Shaw - suspended for the second leg - accidentally putting Ernesto Valverde's side ahead after Suarez met a superb cross from Lionel Messi. Philippe Coutinho forced a fine save from David De Gea but Solskjaer's Reds grew into the game from the mid-point of the first half and at times had Barcelona rattled. But as much as they frustrated the visitors, they failed to get a shot on target and Solskjaer's side suffered a fourth loss in five matches to leave them facing an uphill battle in Spain.